Peace of mind by protecting building and property. Absolute Fire Protection has specialized in fire protection management since 1998. 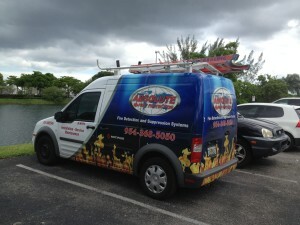 We offer fire protection systems and services to customers throughout the South Florida area. With multiple locations, Absolute has the resources and experience to handle all Protection Service Management and Protection Projects, with the” hands-on” management approach our customers have come to expect. Absolute handles all phases of PROTECTION SERVICES, including pre-planning, engineering and design, coordination, project management, installation, inspection, repair and maintenance. The qualified professionals at Absolute recognize that each customer has unique needs. Regulatory codes, insurance specifications, environmental and operational concerns are routinely balanced within budget parameters. The in-house staff Management Team and Engineering Technicians, Project Managers, and experienced Field Installation and Service Technicians are specialists, qualified to evaluate, layout, fabricate, install and service optimal fire protection systems – on time and within your budget. Throughout the past 20 years, Absolute Fire Protection Systems has relied on the expertise of our designers and NICET Level personnel on staff to successfully complete a wide range of commercial building projects. 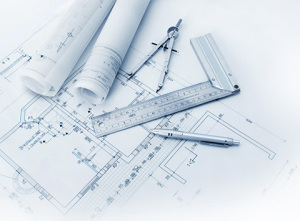 Working with building owners and utilizing the latest in 3D CAD design, we can ensure that your project will come in on time and within your budget. Whether a custom-built lake home or a multi-story condominium, Absolute Fire Protection Systems has been a leader in the design and installation of all types of residential alarm, fire protection and fire sprinkler systems. No project is too small or too complex. We have installed sprinkler systems in single family homes, apartment buildings, dormitories, hotels and high rise condominiums. Absolute Fire prides itself on fast One Stop response and customer satisfaction. We offer 24-hour emergency service to handle immediate problems and we provide preventative maintenance and inspection / testing for CCTV, Burglar Alarms, Fire Alarm Systems, wet, dry, pre-action systems and fire pumps. We offer Absolute Protection Management. Since 2000, Absolute has been offering full management and control for all of our customer’s Fire and Protection Management Control Systems. We believe that the customer should have the peace of mind that their systems are protecting their building and property. We understand that our customers depend on us to organize, service and control all of their protection systems. With our trained office and field staff, we strive to ensure that all the systems are serviced, tagged and maintained at all times. With our on-line systems, the customer has piece of mind that the systems are always in working order and up-to-date with easy documentation through our on-line program. Areas served include: Palm Beach County | Broward County | Miami-Dade County | Naples/Collier County | and all of Florida. Copyright © 2019 Absolute Fire Protection, All Rights Reserved.